Today is the one year anniversary of the Kings Bay Plowshares action. Liz McAlister, a member of Jonah House, along with Fr. Steve Kelly, SJ and Mark Colville, remain incarcerated. The other four members of the group are at large but wearing ankle monitors. After one year, the trial date has yet to be set. 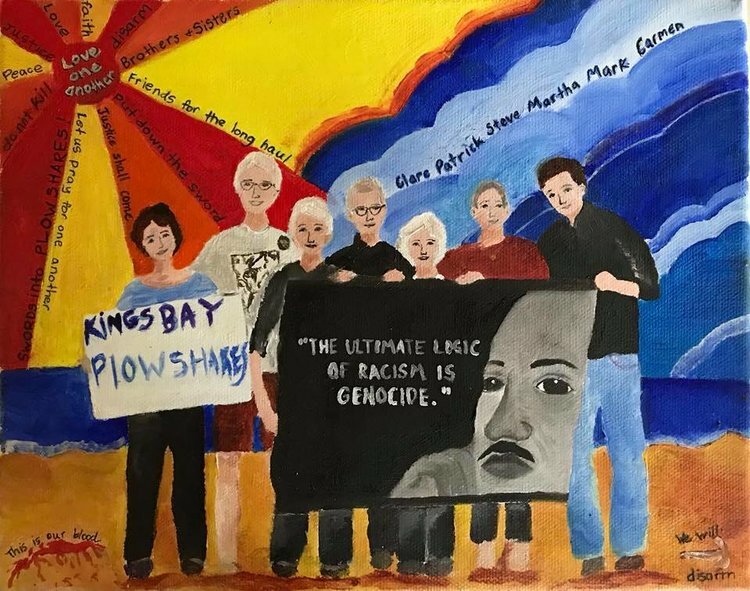 Please sign the petition for the Kingsbay Plowshares 7. It asks that charges be dropped against our seven friends, so that they can return to doing good works in the world.